Margaret Spring joined the Aquarium in 2013 to oversee its many conservation and science initiatives, including all ocean science policy work, the Seafood Watch sustainable seafood initiative and research programs involving sea otters, white sharks, Pacific bluefin tuna and other species. "My first memory of exploring the ocean is the shock of seeing an eel staring at me through my diving mask. But after venturing deeper, I saw a gorgeous field of bay scallops, shells open, revealing the tiny blue iridescent eyes at the end of each ridge, shining underwater." She brings a wealth of experience to the position. Most recently, from 2009 to 2013, Margaret held top leadership roles at the National Oceanic and Atmospheric Administration, first as chief of staff and then as principal deputy under secretary for oceans and atmosphere. Prior to her tenure in the Obama Administration, Margaret led The Nature Conservancy's California coastal and marine program. From 1999 to 2007, she served on Capitol Hill as senior counsel, then general counsel, to the Senate Committee on Commerce, Science, and Transportation, where she played a key role in advising members of Congress on ocean and climate issues and developing legislation on major science and policy topics. Margaret was appointed to the Ocean Studies Board of the National Research Council in March 2014. 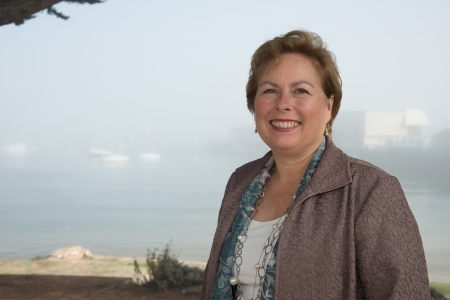 She is also a state appointee to the Board of Trustees of the California Ocean Science Trust, a nonprofit organization tasked with providing rigorous science to guide decisions about the future of California's coast and ocean. From 1992 to 1999, Margaret was an environmental attorney at Sidley & Austin in Washington, D.C. She is a graduate of Duke University Law School and Dartmouth College.